Interested in a $50 gift certificate to an exciting new daily deal wine website? 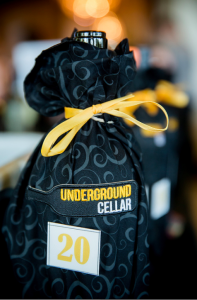 The generous folks at Underground Cellar have generously offered to send two gift cards to two lucky readers! Underground Cellar is a unique wine deal website. Every “offer” contains multiple bottles of wine – they’re similar in style, but at different price points. Here’s the fun part. Every bottle in the offer is priced using the lowest price point in the offer. And when you make a purchase, you’re eligible for a free upgrade to one of the more valuable bottles. You find out if you’ve been upgraded when the wine arrives at your door! Underground Cellar also offers temperature controlled storage at no charge – and cases ship free. So you can easily buy wine without worry, and then consolidate your purchases once you’re up to a case. To enter, visit Rafflecopter. Connect with Underground Cellar on Facebook, Twitter, Pinterest and YouTube. Interested in a three-month subscription to a wine club that promises hidden gems from California, Oregon, and Washington? How about a $125 gift basket? 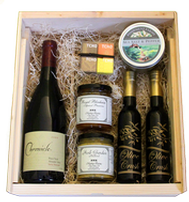 Mark Aselstine, the co-founder of Uncorked Ventures, has generously offered to send one of these items to a lucky Terroirist.com reader! The concept for Uncorked Ventures emerged during a family vacation to South America. While drinking Pisco Sours and exploring the wines of Chile and Argentina, Mark and his brother-in-law, Matt Krause, decided to launch a wine company that would offer something different. They soon launched Uncorked Ventures, promising to offer wines from small, artisan producers across California, Washington, and Oregon whose wines weren’t widely available. The wines are all sourced during trips to wine country, where Mark and Matt work directly with producers to gain access to limited production bottlings. To enter the contest, you must comment on this post AND “like” the Facebook page for Uncorked Ventures. We’ll stop accepting entries on Sunday, July 28 at 11:59 pm PT. Please note that you’re only eligible if you live in a U.S. state where Uncorked Ventures currently ships. Please note that this post, authored by Mark Aselstine, is sponsored by Uncorked Ventures, a online retailer based just outside of San Francisco that specializes in wine clubs and high-end gift baskets. As the proprietor of Uncorked Ventures, I’m always on the lookout for interesting people, places, and trends in the wine industry. Here are three things that recently caught my eye. Despite our best efforts to visit the many wine regions of California, Oregon, and Washington State in person, we’ve been particularly negligent about spending much time in Mendocino. Last week, a large event in San Francisco showcased the wines, food, and travel possibilities in Mendocino. What caught our eye was the first large-scale attempt at a wine collective, which is common across Europe. Right now in Mendocino, multiple wineries are coming together to make Zinfandel-based blends with a uniform packaging, pricing, and review structures in place. It’s been ten years and while the marketing has some room for growth, the wines were good and gave an interesting and unique perspective into a California winegrowing region trying to compete with its much better known neighbors. We think you’ll see more and more of this as time goes by. If you pick up Wine Spectator, Wine Advocate, Wine Enthusiast, or if you read any wine blog, you’re inevitably hearing more and more about cool-climate fruit and its affect on the wine industry. Far from just a marketing mechanism, you’ll notice a very real difference in the wines being produced from cool-climate vineyards in comparison to their warmer counterparts. Some of the best new wineries that we’ve found recently focus on cooler climate fruit, therefore producing wines more consistent with old world relatives than the style which made California famous. From Donkey and Goat in Berkeley to Two Shepherds in Santa Rosa, quality, cool-climate wines are being produced across California in record numbers. There are a several benefits to opening a winery in an urban warehouse. For starters, the costs associated with many of these collective warehouses are significantly less than opening the shining winery on the hill. Secondly, an urban winery can often put a startup winery in closer proximity to the average consumer. That’s a good thing, because in wine country, more and more wineries are fighting for the attention of consumers. In an urban setting, a winery can become part of a consumer’s weekly routine. Lastly, one thing you’ll immediately notice about these new urban wineries is that the winemaker is generally available and running a larger portion of daily operations than he would be at some of the wineries in more traditional locales. Please note that this post is sponsored by Millesima USA, a New York-based wine merchant that offers a large selection of fine and rare wines. Millesima USA also specializes is the sale of wine futures with supply guaranteed through its parent company in Bordeaux. 2012 was a challenging vintage in Bordeaux. But many winemakers in Pomerol, the appellation located within Bordeaux’s Right Bank, were able to produce wines of depth, complexity, and character. Pomerol is known for its small estates — some cover just a single acre. The area is also known for its Merlot. Pomerol’s unique soil, which is typically a mixture of stone and sand punctuated with iron oxide, is well-suited to the grape. Like the rest of Bordeaux, Pomerol experienced chaotic weather in 2012. The spring was unpredictable and the summer brought heat and drought. Fortunately, the soils of Pomerol were able to hold on to moisture — and most producers were able to harvest their grapes just before rain showers hit in late September and early October. So the yields were naturally low. And the grapes produced wines of beautiful concentration and complexity. This spring at En Primeur, Millesima — a wine merchant based in Bordeaux and New York — spoke with Charles Chevallier of iconic Pomerol estate Chateau L’Evangile. A vineyard in Monterey County. From Wikimedia Commons. Please note that this post, authored by wine writer Ben Moss, is sponsored by CellarVie Wines, an independent online wine and spirit retailer. For people looking for truly unique wine gifts or simply interested in wine production, the North Coast Wine Industry Expo was held at the Sonoma County Fair Grounds in Santa Rosa, California, on December 5. The expo put on by the Wine Industry Network was attended by 200 exhibitors and more than 2,000 attendees. The event was aimed at supporting the northern California wine industry, which has recently been squeezed by a shortage of grapes. For years, California has been the nation’s dominant wine producing state. There are about 850 wineries in California, the largest 25 of which export about 90% of all California wine worldwide. Grape prices used to be in decline due to an enormous range of vineyards that flooded the market with wines. A number of farmers even switched to vegetables, nuts and other fruit instead of grapes to get more revenue. As American wine lovers kept drinking California wine, the situation has gradually begun to change. The recent recession is responsible for the present-day California’s grape squeeze as wineries had to hold off planting new grapes longer than usual. Nat DiBuduo, president of Allied Grape Growers representing 600 growers from California, admits, “Right now, I don’t have enough grapes of any variety in any part of the state”. The prices of Cabernet red grapes as well as Chardonnay and Muscat have almost doubled in the past few years, though. Pauli Ranch, a bulk wine producer from the North Coast, has already contracted all of his Merlot until 2015. California supplies about 90% of domestic wine production but provides only 10% of the global wine output. The shortage of grapes in the U.S. means that Americans might be drinking a lot of imported wines in the years to come. Despite industry changes, wine leaders state that this record wine industry crush in California shouldn’t prevent wine producers from supplying quality wines. 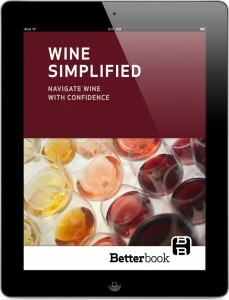 Please note that this post, authored by sommelier Marnie Old, is sponsored by Wine Simplified, an interactive wine book for iPad, iPhone, PC & Mac. Tired of trying to coach friends and family in wine? Having trouble training inexperienced employees? Well, now there’s an app for that. Wine Simplified is a highly-effective crash course for the wine curious provides useful tools for real-world tasks, like shopping and pairing, as well as explaining the organizing principles and short cuts professionals use to make educated guesses about wines before they pull the cork. The following is an excerpt from Wine Simplified by author and sommelier Marnie Old. As we all know, foods taste differently depending on whether they are raw or cooked. The application of heat changes a food’s texture and breaks down nutrients to make it more digestible. But of greatest importance to wine pairing is the change of flavor that occurs when a food is heated and browned. Whether browning is a result of caramelization (as with fruits and vegetables) or of Maillard reactions (as with meats and starches), it adds a distinctive nutty, “cooked” flavor. Generally speaking, the more prominent the flavor of browning is in a dish, the more likely it is to pair harmoniously with wines that are aged or oaked, since cooking and barrel-aging impart similar toasty flavors. Think of it this way — fermenting or aging wine in oak barrels is a form of browning, too. The toasting of the barrels and the slow, controlled oxidation of the wine inside as it breathes have a subtle impact on the color of the wine, and change its flavor. Like leaving a sliced apple on the counter, barrel-aging wines exposes them to oxygen that browns them in both flavor and color. It adds a golden hue to whites like Chardonnay and gives red wines like Rioja the russet tinge of maturity. Just as raw foods feature a vibrant freshness, so, too, do young, unoaked wines — which are protected from oxidation by non-porous stainless steel and glass. Some cooking methods, such as boiling or steaming, impart no browning to food at all. But many of our favorite ways to cook, from toasting to roasting, add the flavor of browning. When we turn up the heat by frying or grilling, browning has even more impact flavor-wise. Match fresh foods served raw — like salad and sushi — to the youngest, freshest-tasting wines, i.e., unoaked wines. Save oak-aged wines for foods that have been cooked and in which the flavor of browning is present. Match the degree of browning in the dish to the impact of oak in the wine’s flavor. The oakiest wines fare best with foods that are grilled, sautéed, or fried, or accented with toasty or smoky elements. When the browning is less noticeable, as with roasted or baked dishes, a more balanced oak presence is more suitable. The flavors that emerge in food with low-and-slow cooking methods like braising share some of the complexities of flavor found in wines that are bottle-aged. Cooking methods that rely on a quick sear to preserve some of the freshness of the food flavor find more harmony with younger, fresher wines. Please note that this post, authored by wine writer Susan Anderson, is sponsored by Vintage Cellars. With the holiday season quickly approaching, many of us are figuring out ways to “wine and dine” our clients. Below are some tips that’ll help you make your wine selections. If you have a close personal relationship with your client, hosting a small dinner party in your home is sure to make an impression. In such a cozy setting, selecting memorable pairings is key. Serving steak? Consider a rich, full-bodied red. With poultry, consider a delicate red, like Pinot Noir or Grenache. Serving something spicy, like Thai or Indian cuisine? Go with an intense, high-acid wine like Riesling or Gewurztraminer. And don’t forget to start with Champagne! If you’re unable to meet your client in person, wine makes a great gift. But be sure to send something that tells a story or a recognizable wine that isn’t easily found at the supermarket. For example, if you and your client traveled together for business, consider sending a wine from a region nearby. Did you once have a meeting in Washington, DC? Consider a Virginia wine. Did you visit New York together? Consider something from the Finger Lakes or Long Island. If you once visited Rome, send an Italian wine! Such wines will tell a story and leave a lasting impression. Alternatively, wines from luxury regions like Napa Valley and Champagne are always memorable. Just be sure to order the wines from a reliable retailer who will make sure they’re shipped at the correct temperature throughout transit. Looking to step up your gift? Consider a wine club membership. Most wine clubs regularly ship a certain number of bottles every month or quarter – enabling their customers to learn about different wine regions and explore different varieties. Some memberships even include tasting notes and recipe pairings. Best of all, if you belong to the same wine club you’ve gifted, you’ve created instant fodder for conversation. You can get in touch with your client to chat about this month’s bottles and compare tasting notes, helping to build your business relationship. Perhaps you need to entertain several clients at once. Or maybe your colleagues aren’t as comfortable with wine as you’d like — after all, a basic familiarity with wine is critical in the business world. If either of these scenarios speaks to you, consider hiring a wine educator to host an event and walk attendees through a carefully planned program. The educator could compare New World wines to Old World offerings, explain the basics of navigating a restaurant wine list, or even discuss food-and-wine pairings. Most cities have excellent wine professionals. Susan Anderson is a blogger and wine lover who writes for Vintage Cellars, a San Diego based wine storage company that specializes in building custom wine cellars.